Jerusalem,— It is known for its exotic taste and aroma, but research by an interdisciplinary team of nutrition, neuroscience and plant scientists from the Hebrew University of Jerusalem now shows that eating passion fruit could also preserve the brain’s health into old age. Prof. Oren Tirosh, Prof. Alon Samach and Dr. Aron Troen from the Hebrew University’s Robert H. Smith Faculty of Agriculture, Food and Environment are researching and developing functional food capable of protecting the brain and central nervous system. Together with graduate students Yael Tal, Yael Yellin and Amir Bross, the team has discovered that fruit extracts from ”Dena”, a passion fruit variety they have developed, protect neurons from degeneration in cell cultures and a mouse model of Parkinson’s disease. Their study appears in the Journal of Functional Foods . 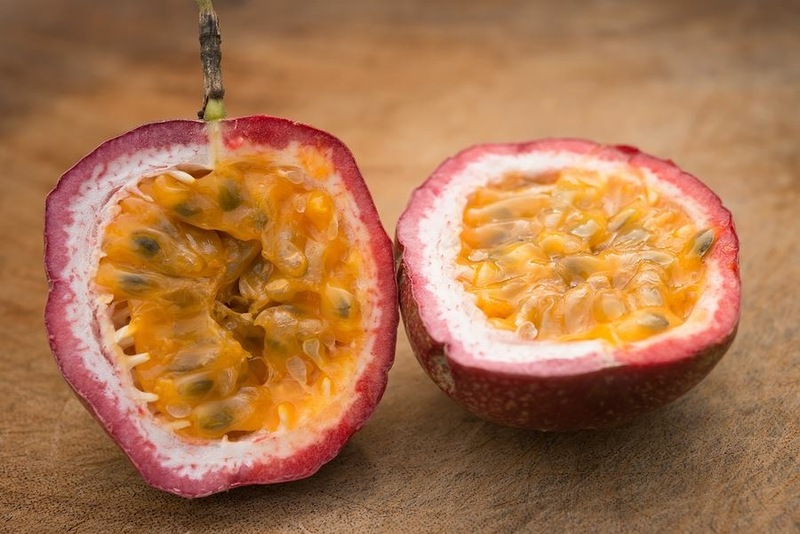 “Our group conducts an ongoing breeding program for new passion fruit varieties with novel traits,” says Prof. Samach, from the Robert H. Smith Institute for Plant Sciences and Genetics in Agriculture. In collaboration with Dr. Edna Pesis, from the Agricultural Research Organization – Volcani Center, and graduate student Livnat Goldenberg, the team tested the ripening attributes and aromatic compounds in the new varieties. “We’ve noticed that passion fruit contains a remarkable level of chemicals with potential antioxidant properties as compared to other fruit,” explains Prof. Samach. Together with Prof. Oren Tirosh, from the Institute of Biochemistry, Food Science and Nutrition, they studied the protective effect of several newly-developed passion fruit cultivars on cultured neuronal cells exposed to oxidative stress. “One cultivar, which we named “428” and later ”Dena,” showed a particular promise in protecting the neuronal cell lines,” explains Prof. Samach. In a follow-up study on “Dena”, led by Dr. Troen, director of the Nutrition and Brain Health Laboratory, the team exposed a group of mice to a toxin that causes oxidation damage to the neurons in the part of the brain known as the substantia nigra — the same neurons that die in Parkinson’s disease — and then supplemented the mice’s diet with an extract from this cultivar. The supplementation significantly reduced the extent of neuronal death compared with control mice that did not consume the extract. Additionally, mice that ate the extract had a higher overall survival rate at the end of the experiment. In an ongoing experiment, the researchers fed “Dena” extracts to a group of old rats and then tested them against a group of similarly-aged rats that were given a normal diet. Preliminary results are impressive: after they ate the fruit, the cognitive capabilities of the first set of animals were comparable to younger animals. “Above the age of 60, the chance of getting a dementing illness increases exponentially until by the age 80 it is about one in four. It’s very hard to stop these diseases once they begin to ravage the brain, and prevention is our best bet,” Dr. Troen says. The next step, he added, is to “allow people to eat ‘Dena’ passion fruit or its extract in a randomized controlled trial to see if it has benefit to humans.” The team doesn’t expect that passion fruit will cure Parkinson’s and similar diseases, “but we do think it might modify the course of neurodegenerative diseases and will be useful in their prevention and in the attenuation of brain aging,” Dr. Troen says. The research exemplifies how scientists from different fields are working together at the Robert H. Smith Faculty of Agriculture, Food and Environment toward the study and development of functional foods. “Functional food is food that has biological and health properties that go beyond nourishing the body in terms of our energy and basic nutritional requirements,” explains Dr. Troen. “Part of what we do is to try to understand the metabolic and nutritional basis of disease and see how we can prevent disease through foods,” he says.